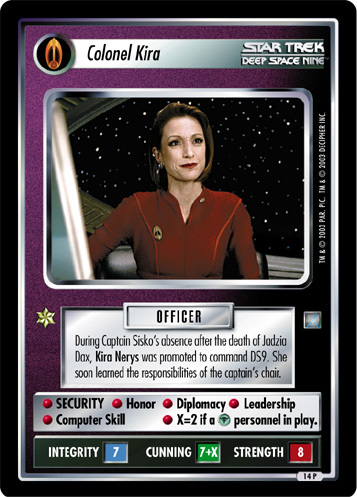 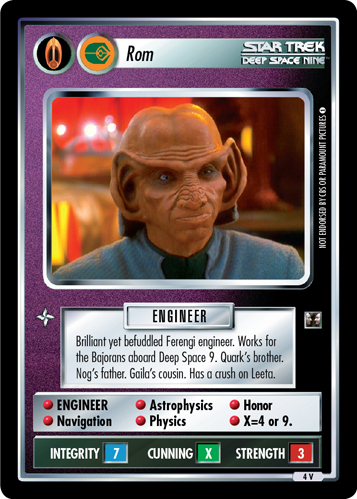 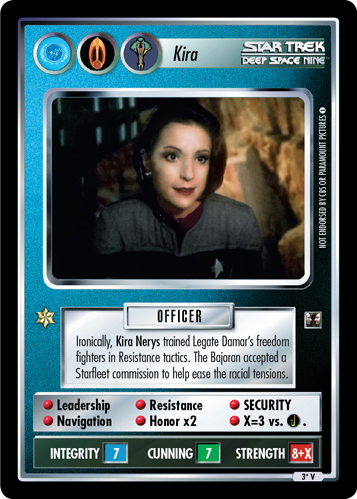 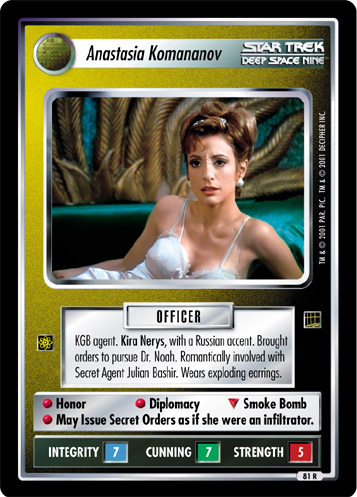 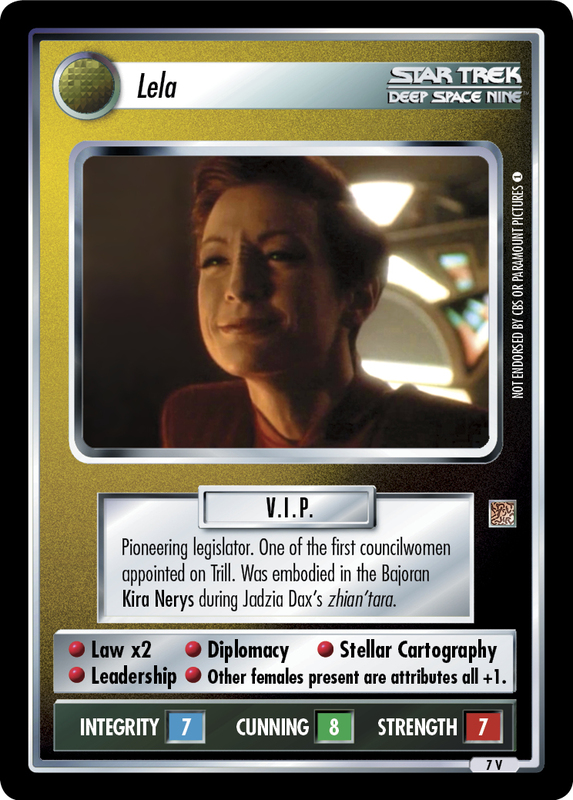 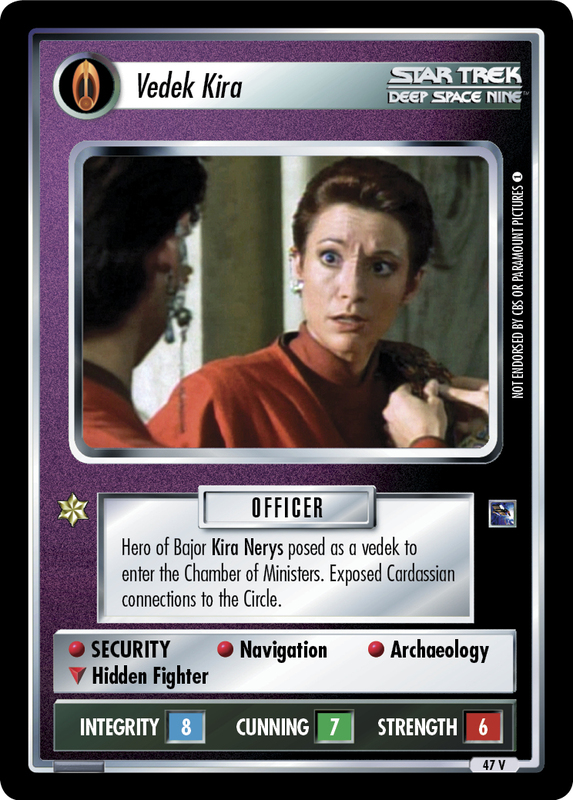 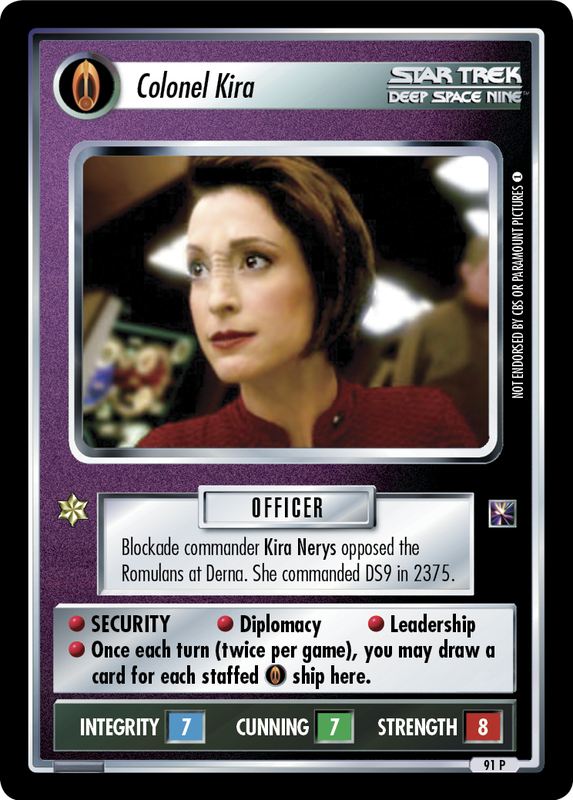 Ironically, Kira Nerys trained Legate Damar's freedom fighters in Resistance tactics. 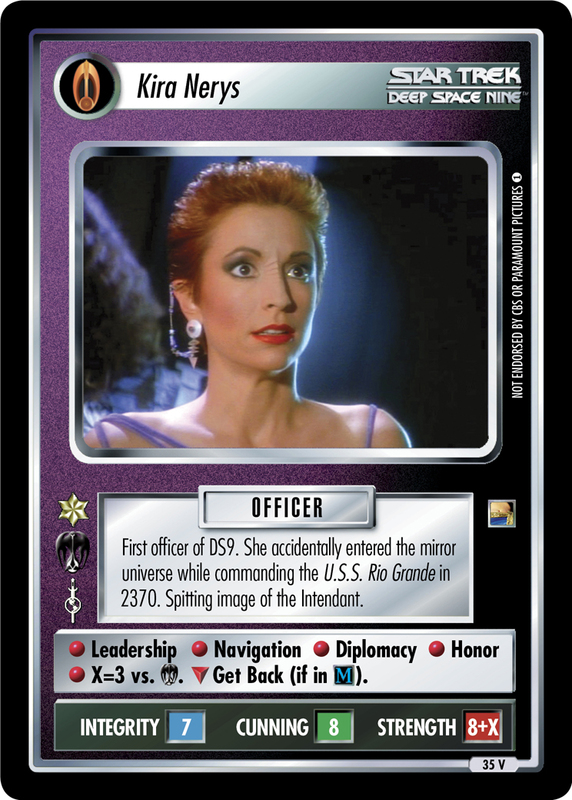 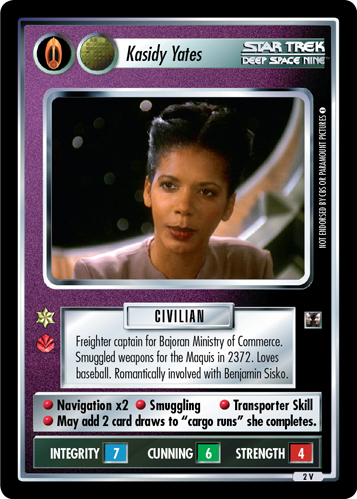 The Bajoran accepted a Starfleet commission to help ease the racial tensions. 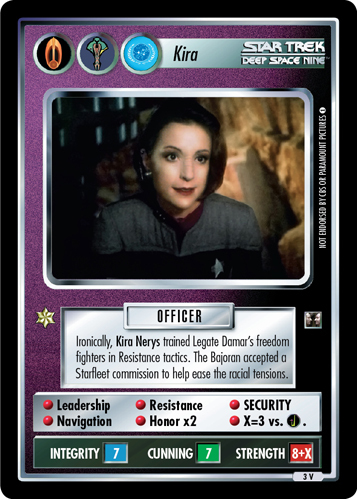 • Leadership • Resistance • SECURITY • Navigation • Honor x2 • X=3 vs. .